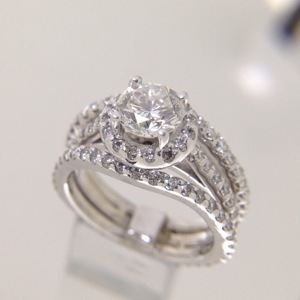 Micro bead set diamond ring. I get to enjoy challenging myself making jewelry for the show case sometimes. This one was pretty fun. 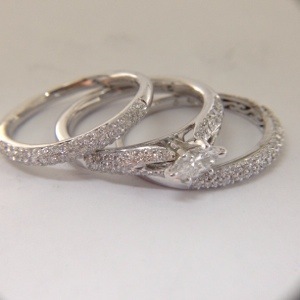 I started with carving two identical bands, cast them up in 14 karat yellow gold and micro bead set 1.3mm diamonds. The assembly of the different length bars came next. Each one was cut to length and soldered in place. 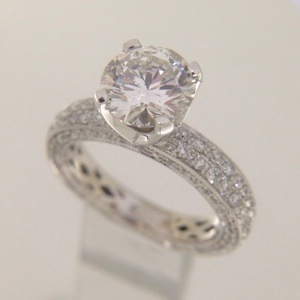 Lastly, the bezel set 3/4 carat round brilliant cut diamond was set then laser welded in place. 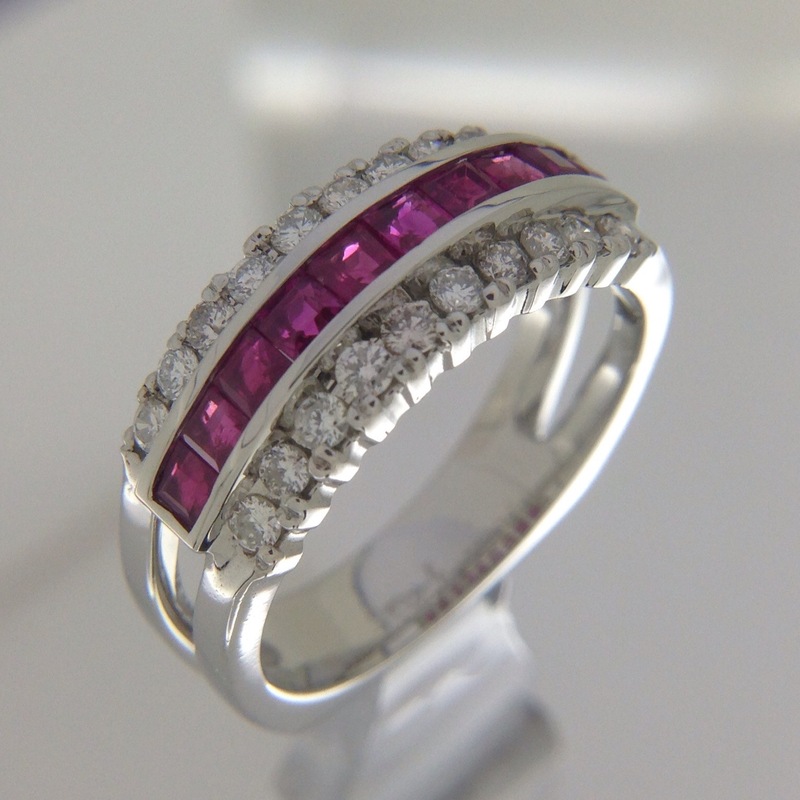 This custom remount pretty much kept the same classic design as the original (not pictured) but the goal was to do a more lighter, feminine version in white gold. 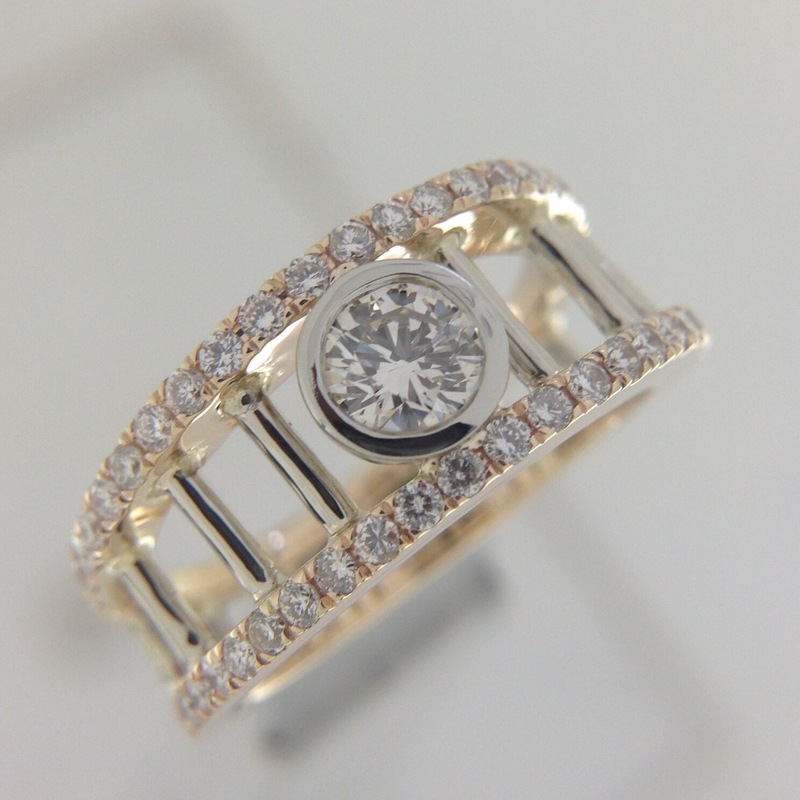 The micro prong set diamonds helped lightening up the feel of the ring from the original bulky 3 channel design. 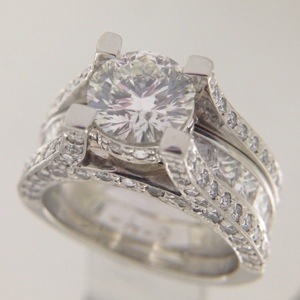 We also opened up the shoulders of the ring to make it more airy. 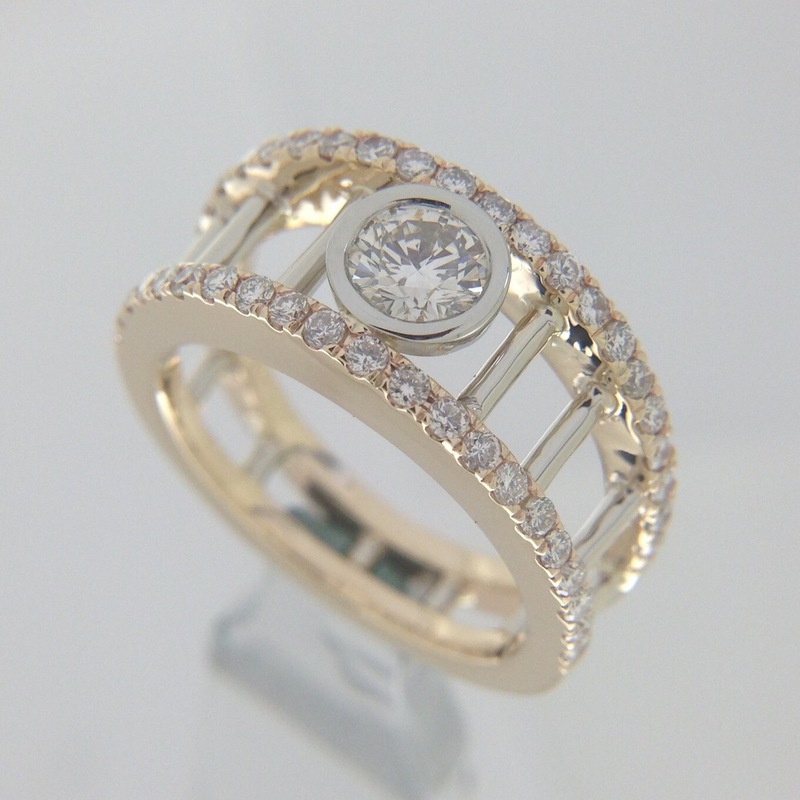 We did a cool square shank and cast it in super white 14k gold alloy that does not need rhodium plating. 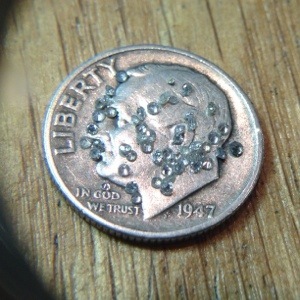 As I am forced to using the bench microscope more and more because of today’s jewelry that use micro pave’ diamonds. 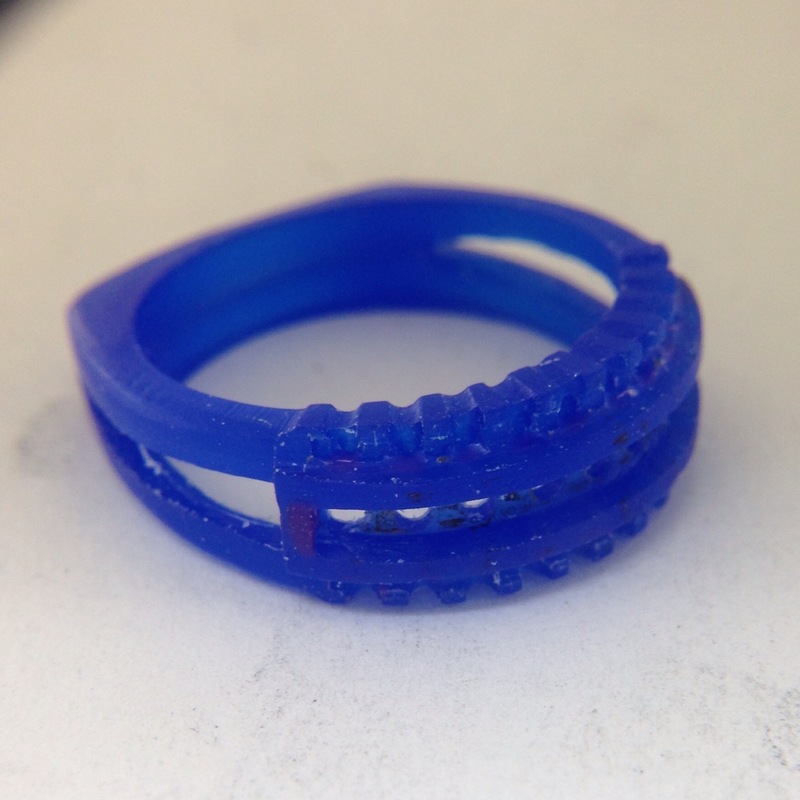 Yesterday I was setting up some new rings and replacing/repairing some micro bead set diamonds with 0.8mm diameter diamonds. To give prospective of how tiny these are, I took a picture of some on a dime. 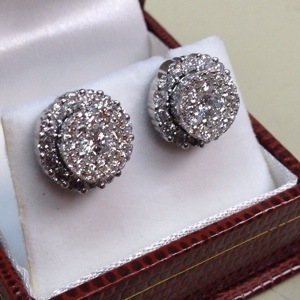 These are full cut diamonds with over 50 facets. 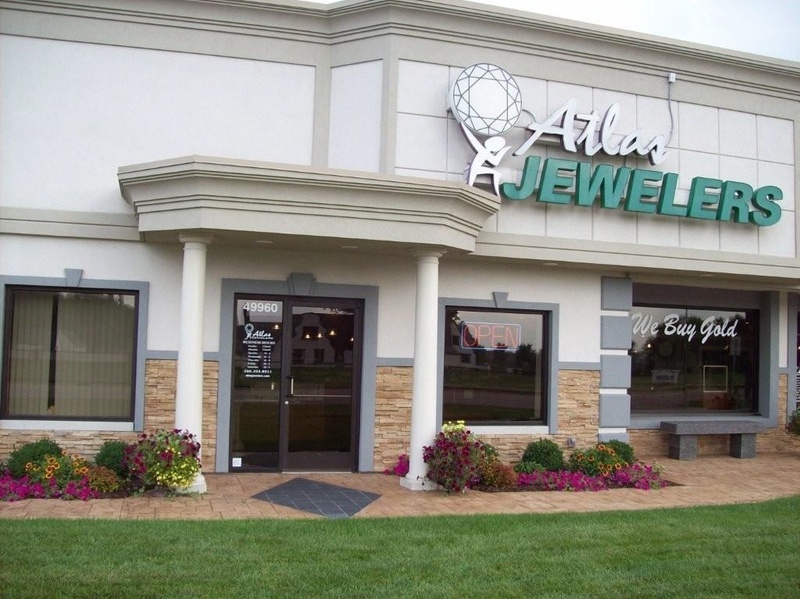 Whereas a number of years ago, melee under 0.02ct were “single cut” stones with 27 facets. Looks like I will need to keep my microscope nearby.